Change of plans. 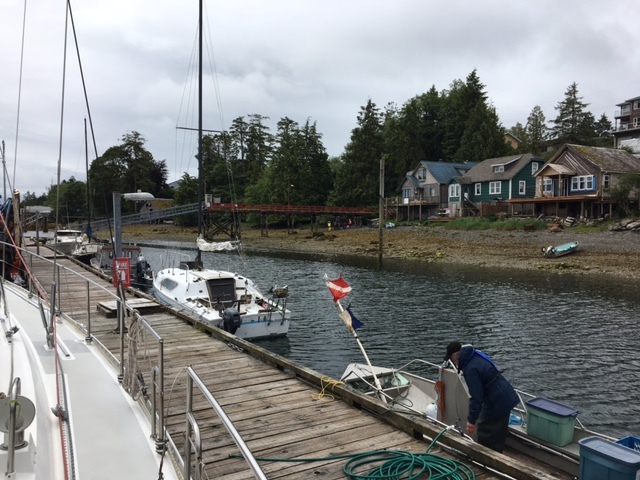 We are now in Ucluelet, Vancouver Island West coast, moored at the customs dock for customs and immigration procedures. After a first phone call we are now waiting for customs officials for inspection. Our goal is to make it to Tofino today making use of the favorable wind conditions.